Enjoy this spectacular wild river while you can! 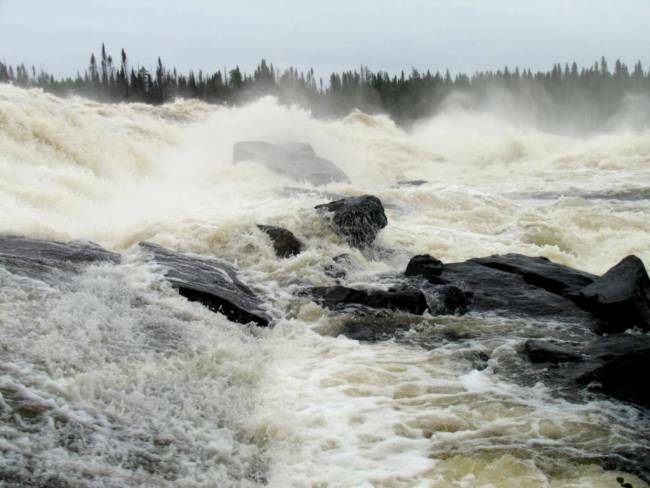 A deal was negotiated between the Quebec Government and the Grand Council of the Crees of Quebec in October 2001 which would open the way for the Rupert River to be diverted by late 2009 for a hydro-electric power project by Quebec Hydro - the controversial James Bay 2 project. The deal was approved by the Cree in Feb 2002. It must be noted that Native People have traditionally seen themselves as custodians of the Earth, a role given to them by the Creator.